Increased deer observations following another mild winter have hunters and state wildlife officials alike excited for fall hunting seasons – the 2017 archery and crossbow deer seasons run concurrently statewide from Sept. 16 to Jan. 7, 2018. In 2016, archery and crossbow hunters combined for one of the highest buck harvests in history, and Wallenfang expects similar, if not an increase, in the buck harvest this year. Deer hunters in just four predominantly forested counties will see buck-only hunting this year. Throughout the remainder of the state, antlerless hunting opportunities are available through the use of Farmland Zone and bonus antlerless deer tags. In addition, please note that regulations regarding tree stands and ground blinds used on department managed lands have changed for fall 2017. For other types of property such as county or federally owned lands, contact the property manager to learn about these rules. 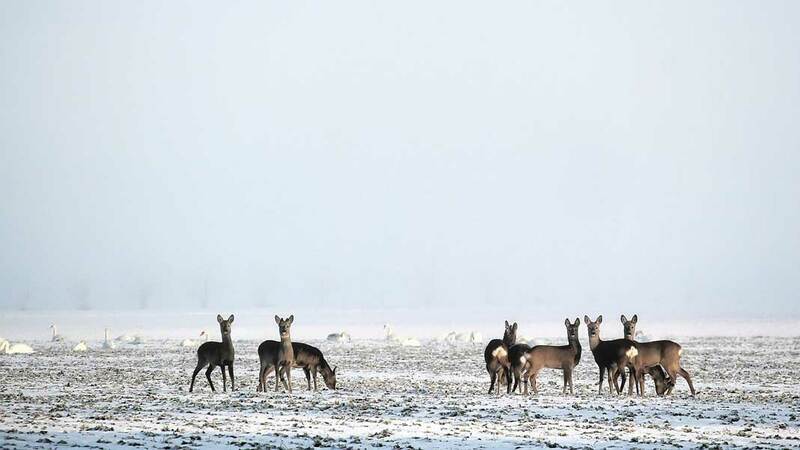 Bonus antlerless tags remain available in many deer management units. Bonus tags may be filled with any weapon type during the appropriate season, but must be filled in the zone, county and land type designated on each tag. Bonus tags are available on a first-come, first-served basis at a cost of $12 each for residents, $20 each for non-residents, and $5 for youth hunters age 10-11.
visit a license agent (this will require a $2 processing fee). To receive email updates regarding deer hunting in Wisconsin, visit dnr.wi.gov and click on the email icon near the bottom of the page titled “subscribe for updates for DNR topics,” then follow the prompts and select the “white-tailed deer” distribution list (found within the “hunting” list). Deer hunters are also encouraged to check out the frequently asked questions page for more information regarding changes for 2017. And, remember to check out the carcass tagging FAQ (search keywords “tag it”).